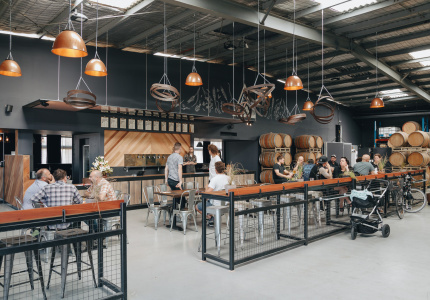 The highly anticipated new MoVida restaurants have opened but represent a new approach for the brand. But are they selling out? What’s in a name? At the new MoVida Aqui and Terraza, everything apparently. 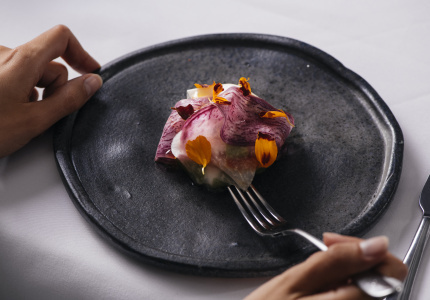 Not only do the respective monikers denote that this new duo of restaurants is the latest offspring of the rapidly expanding MoVida restaurant brand, it also labels this latest venture of Spanish chef Frank Camorra as the place where it’s all happening. 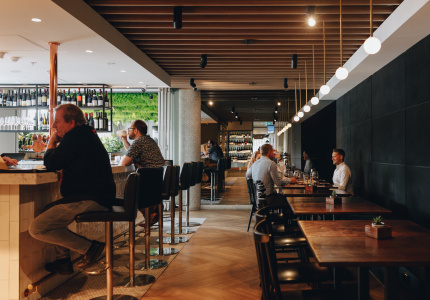 To clear up any confusion, the two new MoVidas are neighbours at 500 Bourke Street; with MoVida Terraza – the terrace – the more casual little brother of the fully-fledged dining experience that is MoVida Aqui. But don't let the names fool you into a false sense of familiarity. 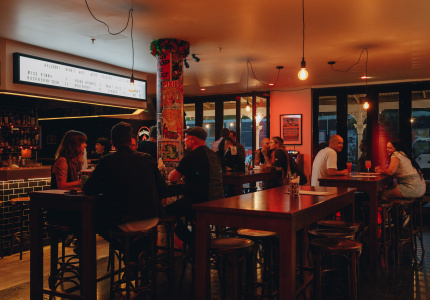 You shouldn't expect the dimly lit, cosy interiors of the more established MoVida siblings, this is something else. At MoVida Aqui and Terraza the first things you’ll notice are the light and the size. 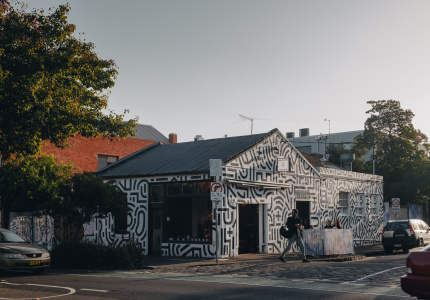 While the original MoVidas are tucked away in the cobbled laneways of Melbourne’s graffiti-clad back alleys and nabbing a table in the small spaces can be all in the timing – if at all – the new MoVidas are bigger, much more open and sit boldly on their Level 1 shared terrace at the other end of the city, basking in the sun. In terms of atmosphere, it’s a radical departure, appealing more to a fiesta-feel rather than the discreet tête-à-tête that the original incarnations are known for. Bar the name, and the culinary tradition behind it, this is a different restaurant. 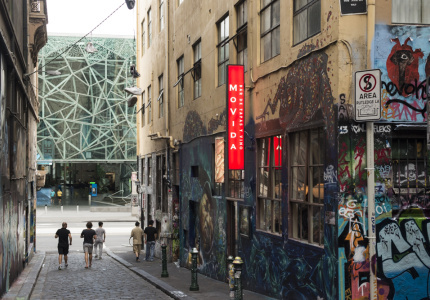 Is it a risk, for Camorra to depart from the MoVida experience so adored by Melburninans, and yet still attach the MoVida name to it? Possibly. 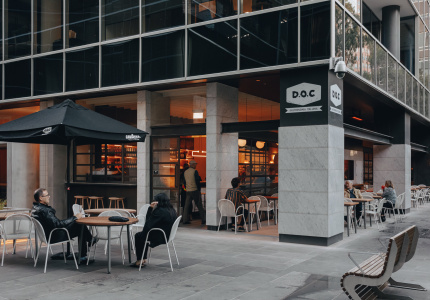 There may be some diners who see the move as the commercialisation of the name, turning a beloved Melbourne institution into a franchise to appeal to the mass dining market – especially coming on the heels of the newly published second MoVida cookbook, and whispers of a Sydney expansion. If Movida were a band, some might say it was selling out. But if it's a risk, it's a calculated one. Camorra is banking on the name, and his reputation; and both are certainly bankable. So far Camorra isn’t letting anyone down. The iconic Spanish food and top-level service are everything we’ve come to expect from the MoVida name. 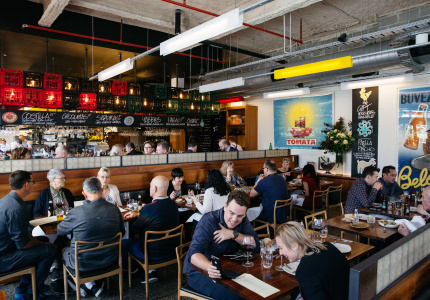 While Aqui and Terraza don’t look like their Hosier Lane siblings, the pedigree is obvious. 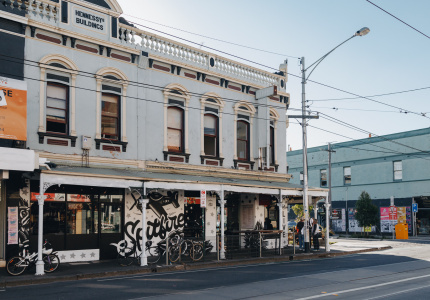 Rather than taking something away from the MoVida Melbournians love, Camorra has provided the city with a new way of experiencing his food. “The location, the terrace and the added kiosk were just really interesting for us,” says the chef, indicating the smaller, all-outdoor MoVida Terraza Kiosk only meters away from where we are sitting. “And this way, we don’t have to worry about who our neighbours are,” he laughs. 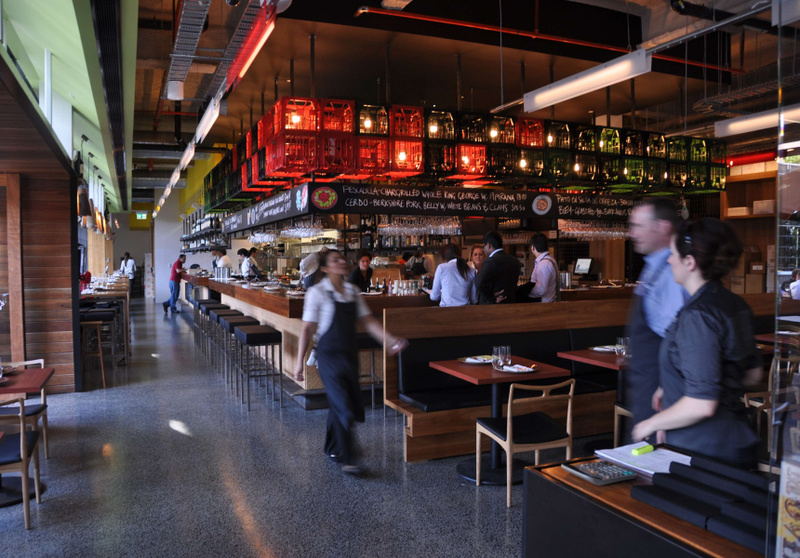 It’s certainly an opportunity for the MoVida brand to provide two new and distinct dining options to customers. As Camorra explains, “Terraza is a much simpler, it’s a menu of the day. In Spain this is a typical way to eat; people on their lunch-break go to have a menu of the day in a restaurant. There are only three or four things on offer and it’s changed every day,” he says, indicating that the role of Terraza is a quick and easy office lunch break. And the difference at the light and airy office block conversion of Aqui, sectioned off by potted olive trees just across the terrace? The idea, he says, is to facilitate those who want to linger longer over their meal. 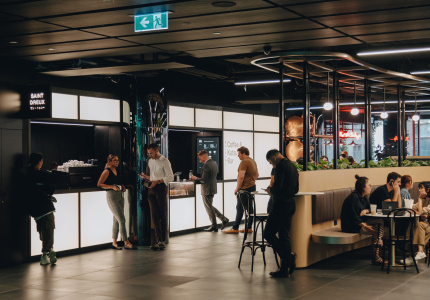 It’s clear that the new MoVidas are reaching out to a broader customer base, in everything from the size of the operation to the slick fit-out and open surrounds, but the most important question is: will the food stand up to the expanding brand? 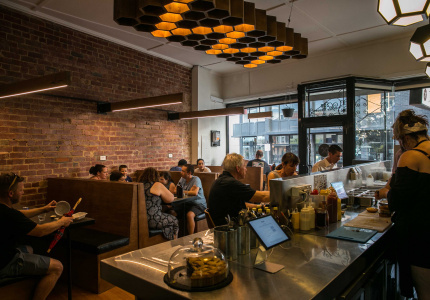 Camorra thinks it will, with the new staff trained at the original MoVidas and now given the kitchen space and freedom to add much-anticipated paella dishes to MoVida’s widely acclaimed tapas and raciones. And ultimately, we're betting that despite the new approach, at the end of the day, so long as Camorra’s food continues to live up to its reputation, the city will embrace all things MoVida. Lunch & dinner Mon–Fri 12noon until late (snack menu between 3pm and 5pm), Sat 5pm until late. 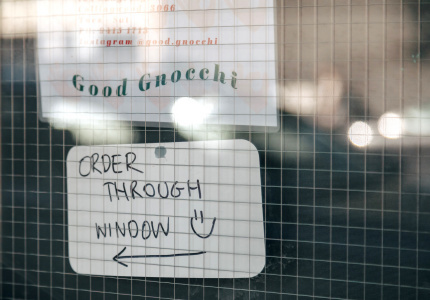 Breakfast 7am–11am & lunch 11.30–3.30, Mon–Sat. Snack menu 3.30 until late. No bookings.